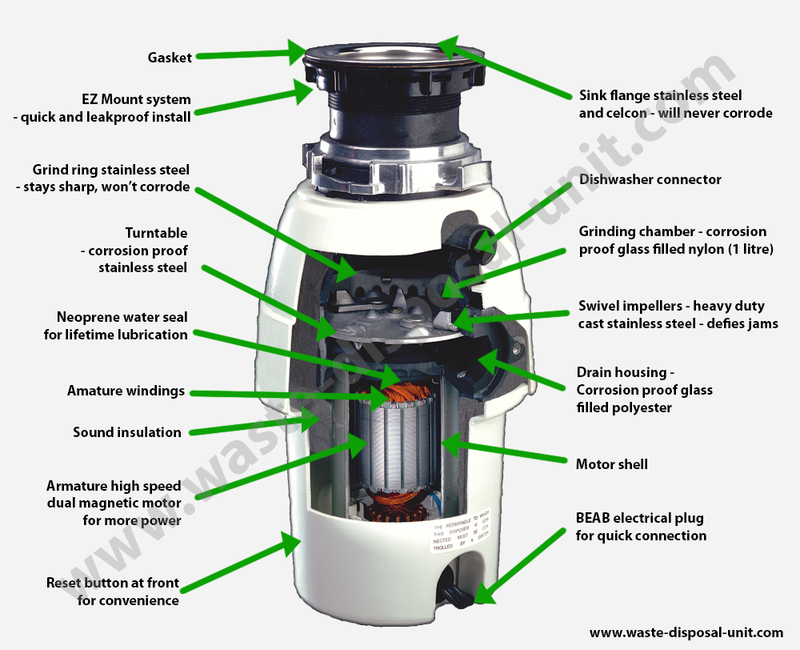 The WKI 2600 is, like the WKI 1001, a 1/2 Hp unit and also designed for a single household who does little cooking but has a bit more budget and who wants the disposer to last at least 5 years. 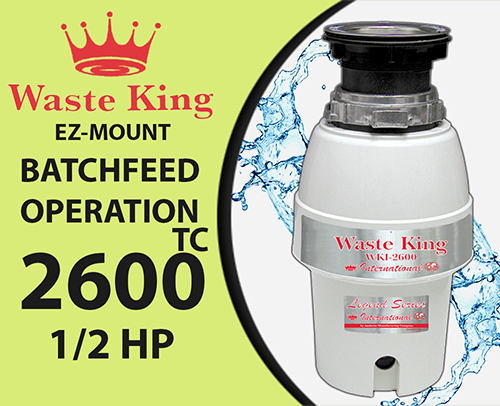 This unit is the equivalent of the WKI 2600 but for batch feed and so is larger. A batch feed unit operates by loading in all the wasted and putting the top down to start it. There is no wall switch to operate it.